Amazon Announces Surprise Thanksgiving Deals! Amazon’s offering a 30% discount on every book in their store! (“Take an extra 30% off any book offered by Amazon.com,” reads an announcement they’ve tacked onto every page in the store…) It’s just one of several special offers they’re offering for the Thanksgiving holiday weekend, which also include big savings on Kindles. Amazon’s also offering special pricing on their Kindle Fire HD. The big 8.9-inch device (with a high-definition color screen) has been reduced to just $229. That’s what it’d normally cost just for the 7-inch version of Amazon’s new Kindle Fire HDX. Amazon lowered the price when they added these tablets to their list of holiday gift suggestions. 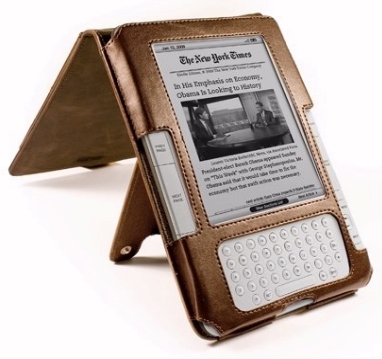 So if you’re looking for a good deal this holiday, there’s some great prices on Amazon Kindles! 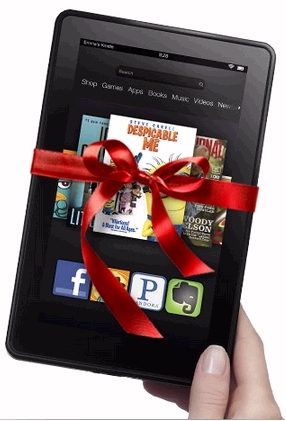 Amazon Discounts Kindle Fire HD for Cyber Monday!